Getting into beading as a craft and getting to the point where you feel comfortable and confident in calling yourself a ‘beader’ can be quite the process. Beading and jewelry-making is a whole world unto itself, full of its own celebrities, history, lingo, and communities. It can be intimidating, at first, just like entering into any craft, fandom, or new community. After observing countless new beaders over the last (nearly) nine years and remembering quite well what it was like to be one myself, I have a few pieces of advice. The biggest one, to me is this: be patient with yourself. 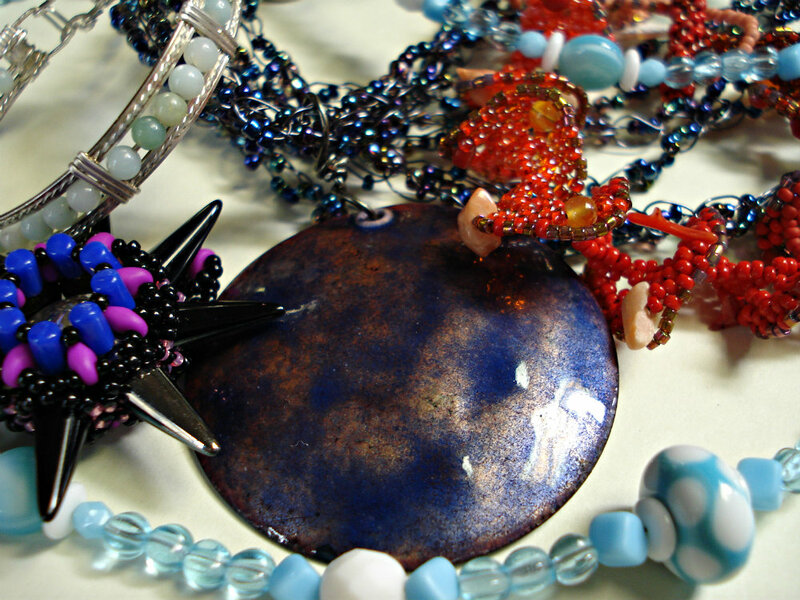 Beading is a craft, and there are many avenues of creativity within it. It’s not like cross-stitch, or even like knitting. There are so many different ways to make jewelry, so many ways to use beads, that you could easily spend years just trying out all the techniques available to you, let alone perfecting one of them. It’s the unique thing about beading that draws people to the craft in the first place, and the reason that it can hold so many people’s attention for years and years.